A healing approach involving a vacuum dressing to inflame healing in acute or chronic wounds is Negative-pressure wound therapy. It is used to strengthen healing of second and third degree burns. These are the wounds that do not heal within a six- to eight-week like foot ulcers, leg ulcers, and cancerous wounds. Individuals having chronic medical conditions, such as high cholesterol, severe burns, vascular disease, anemia, or AIDS, are at a higher risk of developing chronic wounds. The therapy involve the controlled exercise of sub-atmospheric pressure to the sectional wound environment using an airtight wound dressing joined to a vacuum pump. In negative-pressure wound therapy (NPWT), an injury is covered with an airtight dressing, and negative pressure is applied. This is thought to advocate healing. The primary aspects for fuelling demand for NPWT are augmenting incidence of acute and chronic wounds, burn cases and major surgeries. However, high cost of treatment through NPWT is the major restraint for the growth of global negative wound therapy market. The market for negative pressure wound therapy is anticipated to have a CAGR of approximately 7.4% over the foresaid period i.e. 2016-2024 with approximately USD 1.24 billion in 2015 and from 2016 the market is further anticipated to garner USD 4.25 billion by 2024. The rise in incidence of chronic wounds and geriatric population, also the increase in healthcare expenditure, and better focus on the development of cost-effective and disposable NPWT devices has led Australia to dominate the global NPWT market. In 2016, hospitals and clinics dominated the NPWT market by 50% of the total market share followed by ambulatory surgery centre. In North America (US, Canada and Mexico) and Europe (Germany, France, Italy, Spain, UK), the rising rates of chronic wounds and ageing population has motivated companies to focus on the wound therapy devices and other wound care products. 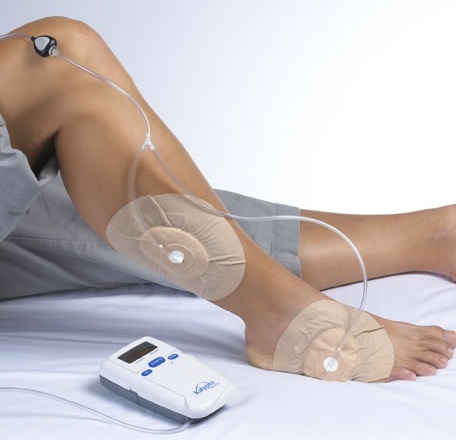 In Europe, the negative pressure wound therapy devices market is forecast to rise from USD 0.50 billion in 2016 to USD 0.63 million by 2020, with an annual growth rate of 4.9%. Diabetes represents 67% of the market share in global wound therapy market and also work as primary driver as rise in prevalence of diabetes work as a major driver for this market, prevalence of chronic diseases such as diabetes, mellitus, etc. which leads to chronic wounds, rising cases of skin ulcers due to lack of awareness towards hygiene etc. Negative pressure wound therapy overlay technique with collagen dressings is tentatively used for non healing wounds. These all work together as growth drivers for global negative pressure wound therapy market. High treatment cost, ongoing controversy regarding high-level evidence in wound care, less implications of implementing NPWT as a treatment strategy in the health-care system, lack of awareness and presence of complexities with negative pressure wound therapy hinders this market.